With a stay at Baanrimnam Resort Trat in Trat, you'll be within a 10-minute walk of Wat Phai Lom and Indoor Market. Featured amenities include dry cleaning/laundry services, a 24-hour front desk, and luggage storage. Free self parking is available onsite. 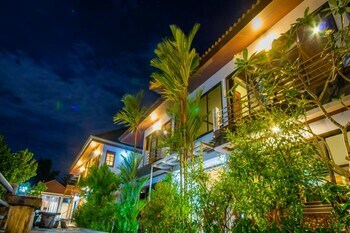 Located in Suphan Buri, Baan Klai Ruen Keang Resort is within a 15-minute drive of Banharn-Jamsai Tower and Suphanburi Provincial Stadium. Free self parking is available onsite. With a stay at this condo in Hua Hin (Khao Takiab), you'll be within a 15-minute drive of Wat Khao Takiab and Hua Hin Market Village.